A lot of skepticism has surrounded the next installment in the acclaimed Terminator franchise, Terminator: Genisys. A lot of people have been against the idea of a reboot. 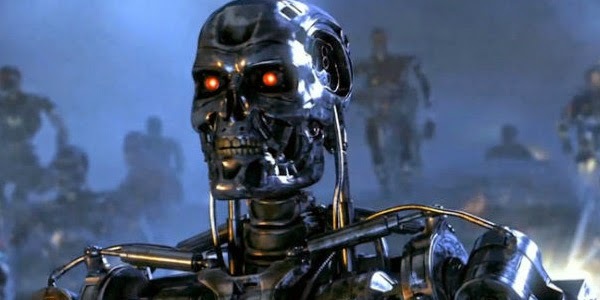 Then, when Arnold Schwarzenegger was cast, it proved to be a kind of reboot/restart, which a lot of people didn't like. Then a lot of people didn't like the title with the misspelling of "genesis". You can pretty much summarize the existence of this new Terminator film up to now as "disliked by a lot of people". I have been indifferent. Terminator 2: Judgment Day is one of my all time favorite films and the original is a very good movie. I think some really cool things have come out of this movie so far and some things I've been hesitant about. So I was looking forward to seeing a trailer, hopefully to calm some of my fears and expand on some of my hopes. While I didn't lose my mind over this trailer, I thought it was really good. The beginning of the trailer was really reminiscent of Dawn of the Planet of the Apes, mainly because it was Jason Clarke standing and giving speeches to a group of survivors. They showed some of the battle which looked like a huge CG-fest, if you ask me. The actual fight may be really cool, but from the trailer, it looked generic. Then, they have Kyle Reese, played by Jai Courtney, go back into time. While the design of this scene looks good, I hated the song. It took me right out of the scene. Then, Reese wakes up and Sarah Connor, played by Emilia Clarke, drives through the building in a truck and quotes Arnold from the 2nd movie with "Come with me if you want to live!". The line fit the scenario, so it didn't really bother me. Then we see a shot another T-1000 from Judgment Day. I didn't know they were going that route prior, so it caught my attention. You then learn that another Terminator must have gone back further than in the original movie and got to Sarah Connor first. It looks as if this movie will play out the story of the original film with this new, altered time line. 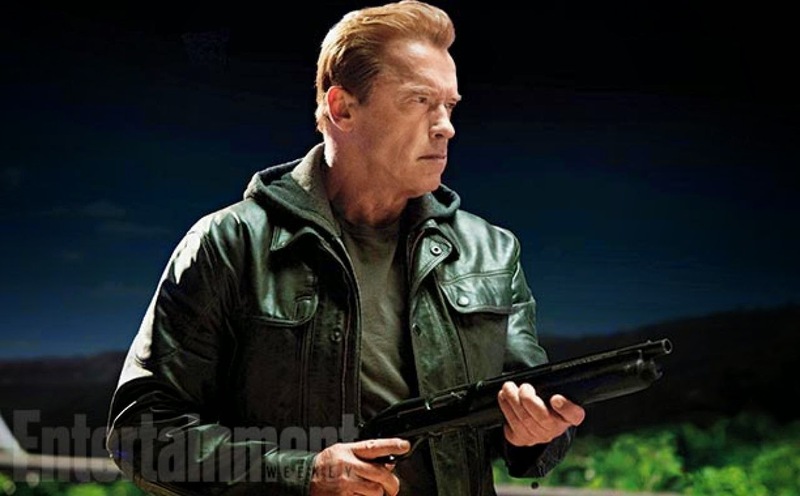 You see this really cool shot of the Arnold terminator from the first arriving and the new, older Arnold waiting for him. But what threw me off was the T-1000, which was from the second film. It's possible that this movie could be covering the events of both films, but there's over a decade separating the two films. One thing that I applaud on their part is that they didn't try to update the look of the actual Terminator, or the T-1000. They could have changed it to make it look much different, but they stuck with the original design, which I thought was smart on their part. The CGI with the T-1000 looks very similar to that of the ground breaking visuals in Judgement Day, which I was also glad about. Once the trailer takes us to the 80's, the action picked up for me. I said before that I didn't care for the battle in the future, but all the chases and gun fights in the "present" worked for me. I thought that shot of Arnold leaping from the helicopter and attacking the other ones was badass. However, him using his "I'll be back" line was really forced. But I did smile when I heard it. Overall, the trailer had good spots and bad spots, but it did help me understand where this movie is going and what the vision is. And I'm looking forward to it more now than I was before. What do you think? Did you like the trailer? Are you interested in Terminator Genisys? Leave your thoughts in the comments section below.